As a Tim Curry fan I have spent many hours proclaiming my love for his portrayal of the demonic clown in It: The Mini Series. So, like many other fans, when I heard a remake was in the works my feelings consisted of both apprehension and excitement. 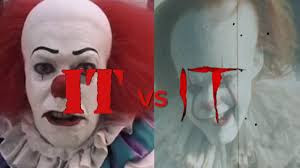 The mini series is not perfect (more on 'that' spider later) but it has elements that work very well, not least Curry's astounding performance as Pennywise. I rewatched the mini series last month and thought it might be fun to compare and contrast both versions side by side. Which one will float? Or do they both struggle with the same flaws? "It" has always been about one thing, The Losers Club, and it is therefore a character driven film. The disparate and sidelined individuals that form the club have their own unique flaws and also their own fears. It is these fears that Pennywise exploits purely so they taste better when he eats them. So mastering their fears isn't going to save them it just means that Pennywise will have to chew longer for his meal. The mini series opted to flash back to the past in its retelling of the origins of The Losers Club and their first battle with Pennywise. This is effective as it builds a strong link for the audience with the individuals and the strength of their bond, forged 27 years ago. With the cinematic version being more limited on time (the mini series clocks in at 4 hours with the modern update 2 hours 15 minutes) it is more to do with the year gap between 'chapter one' and 'chapter two' releases. Clearly opting for a different treatment of the same source material would mean that the writers needed to use a different way of telling their story. 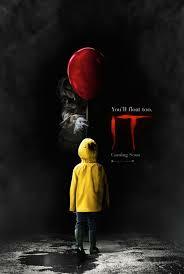 In both versions of "It" the young cast are astonishingly good. The Cinematic portrayal of Bill Denborough works better for me, mainly because he has lost the awful pigtail which his 90's counterpart was lumbered with. Audibly though, the stutter is not as effective and feels a little acted, too contrived. Stanley's character is much more front and centre which is a huge positive and I really enjoyed the 'new' Eddie. Nice to see that the asthma inhaler is still very much in evidence although not used to disable Pennywise at all. We see much more of Eddie's cosseting by his mother and the muted effect is unbearable. In a nice touch, Mike Hanlon is home schooled which increases the outsider persona and social awkwardness and also adds to the undercurrent of racism suffered at the hands of Henry Bowers. Ahhhhh Henry Bowers, never really worked for me with the mini series and was more like a puppy with a loud bark. Here he exchanges his slick back hair for trademark eighties mullet and a really serious psychotic attitude problem. Bowers is just plain nasty and carving his initial into the stomach of Ben Hanscom made me wince. Hanscom is pretty much the same in both versions with his love for Bev Marsh tragically unnoticed. 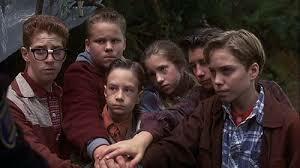 It didn't really require a change as his character and story arch form the backbone of The Losers Club. Richie Tozer is written in a really ineffective and annoying way in both versions. 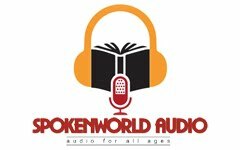 If you take the time to listen to the mini series stand up scene you will discover it just is not funny. Don't get me wrong, I love the character of Richie as he has the most to hide. Tozer, the boy who can always be relied on for the smart mouth and quick wit but his confidence is a thin smoke screen for his own self loathing. But exchanging his unfunny quips for swearing and inappropriate comments about "your mom" just do not work. 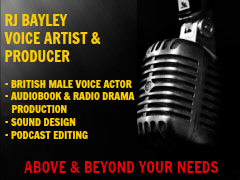 It is Bev Marsh who is the most impressive and strikingly different from the mini series. Marsh is portrayed as a confidence and street smart girl who is just becoming aware of her blossoming womanhood. Carefully directed away from any overt teasing she is strong and engaging from the outset. When this is set at odds with her rebellion against her abusive father the onscreen portrayal knocks 'Mini Marsh' into second place. Derry is a place no kid wants to grow up in. Both Derry's have an odd and unemotional feel about them with the adults barely visible. Due to budget the cinematography for the modern remake is just beautiful with The Barrows and the drainage system much more expansive. This acts as a striking counterpoint to the Pennywise induced lethargy that permeates from every street. There is a horrible sequence in the library where Ben is researching Derry's history. I was aware of one of the adult library visitors leering in the background and with no reference at all it is a deeply disturbing scene. As with the mini series, Pennywise's control over Derry is signified with red balloons. They act as a marking of territory for an entity that controls the whole town. This is a once lively and bustling social town that has been put to sleep by a malignant force, now as children disappear even the police force just goes through the motions. Whilst the mini series clearly portrays the sickness of Derry it is dialled up another notch for the modern remake. The downside of this visually striking style is that the subtlety is lost, a trait that most modern horror films suffer with. Everything that happens is explained either by narrative or visually and this leaves little room for the creeping fear that is induced with a fevered imagination. When you add in the ineffective jump scares both visual and audio (the "It" score is astonishingly good with its derivation of nursery rhymes) there are moments where the remake strays a little to much into cliche. The Modern updates both time and place to the Eighties with the passing of summertime marked by different film posters at the cinema, nice touch! Pennywise The Dancing Clown has never looked more malevolent and the decision to portray him with his own hair adds to the menace. Bill Skarsgård was concerned with copying Curry's performance so has crafted his own take and it works, mostly. Skarsgard's Pennywise is always menacing without the flash change from delightful to demonic. His slaughter of Georgie is horrific and Georgie dies onscreen, unlike the mini series, Pennywise uses his teeth. The visualisation of The Loser Club members primal fears moves brilliantly from the clown playing with his food to feasting. However, there is one massive problem and it's an audio one but one that should never have got out of the read through much less to the screen. Skarsgård makes Pennywise sound like Scooby Doo and it nearly destroys the atmosphere he has so painstakingly built up. There is simply no excuse to allow the titular character to be portrayed so that he sounds like a cartoon dog! It's not scary it's laughable and it continues throughout the whole film. 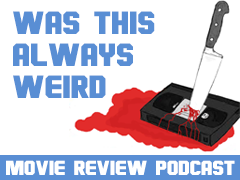 Georgie's death, the opening scene, the event that sets the tone for the whole film and more importantly our first introduction to the new Pennywise and we get "hiya Georgie, do you want a Scooby snack" How was that allowed to happen? Ranty? Skarsgård, no one is going to mind if you lower your tone slightly and edge your performance for chapter 2. Please don't do that again! Contrasting this with Curry's performance doesn't make this any better for Skarsgård as it was, in a word, flawless. Curry's Pennywise is the best part of "It" Miniseries and without him the series would be a complete mess. His haunting laugh and command onscreen elevates a low budget and, in places badly acted, piece of TV drama to a legendary status. It's not all over yet as with Chapter 2 still to be shot, the modern remake has a chance of levelling the field. It isn't the only mistake that can be blamed on the production teams and both versions have their failings. The mini series falls apart once the adult Losers Club take to the screen. Its not that the actors are bad (Annette O'Toole is good in things) they are just awful in this. Adult Losers Club just doesn't ever work onscreen together and the chemistry is a joke.You could argue that their awkwardness is because of the memory loss they are suffering but it feels more accident than design. 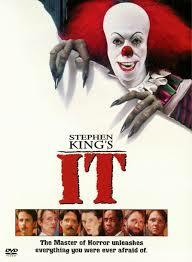 Rewatch the meal at the Chinese restaurant and subsequent scene in the Library, even I wanted Pennywise to kill them! The mini series really shows its budget constraints when Curry is replaced by ineffectual spider thing and, when you add in limited technological effects, it's best just to not watch the last 20 minutes. This is actually the part I am most excited about as with greater CGI and larger budgets the creature effects should be far more effective. They are, but the modern remake's problems are with continuity and a lazy storytelling. 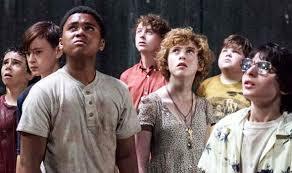 We all know that The Losers Club is going to band together to fight Pennywise, we know they are going to track it back to its lair and we know Chapter 2 is happening 27 years later. This doesn't mean that the story should fail to hang together and it shouldn't be left to audiences to fill in the gaps. Yet, this is what we have to do as The Losers Club, bound together with common ground and friendship, splits into two groups to search for Pennywise. No words are uttered, no "you go that way and I'll go that way" they just separate. This enables the pointless and very out of character abduction of Bev by Pennywise to occur. Pennywise doesn't need to divide and conquer and lack of fear doesn't defeat him. Fear is like ranch dressing to him, he will still eat all of them, so it makes no sense when the final scenes place their victory down to being unafraid of Pennywise. Yes that does happen but it isn't the lack of fear that defeats Pennywise, they don't beat him, he's just full! Quite frankly its a tad irksome when film makers set up rules and then promptly forget what they are or choose to ignore them! With It Chapter 2 slated for release next year or possibly 2019 the success of this final part will come down the casting of The Loser Club. 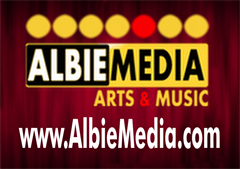 "It" is an ensemble piece that is greater than the sum of its parts. It is not sufficient that individuals are great actors, they must act well together. If we lose the Scooby impression this may well turn out to be the definitive version. At this stage my vote lies with the mini series because, well, "It would have got away with it, if it wasn't for those pesky kids"